One perfumista's trash is another perfumista's treasure. Value theory concerns these sorts of differences of opinion, which cannot be adjudicated by appeal to empirical facts. Opinion polls cannot settle such questions, because we generally deny that the majority rules when it comes to matters of truth. Indeed, the majority is often wrong and must be somehow brought around to see the errors in their ways. This typically involves a few outsiders or deviants aggressively promoting their own, at the time, eccentric views, against the prevailing wave of adherents to the status quo. Human societies have evolved slowly over time as formerly popular ideas have been debunked as antiquated and misguided. 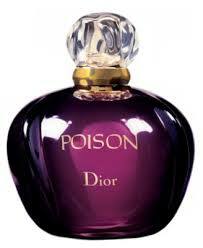 Examples from morality abound, but let us consider more closely the case of perfume. In the case of perfume, there are often simple reasons why we may disagree in our evaluations. Variations in sensitivity to certain chemicals probably explain much of our difference in opinion. But sometimes we simply do not like a given note or fragrance category. A fair number of people really dislike patchouli, and it is unclear that they are actually allergic to it. Instead, this seems to be a personal preference. Other people love to drink but not to wear citrus. Orange juice: yes; orange cologne: no. So clearly in that case it's not a matter of chemical sensitivity. Some people like simple, streamlined scents; others find them boring. It's not at all surprising that we should differ so much in our tastes when it comes to perfume—or anything else for that matter, given how different we are not only biologically but also in terms of our personal history. 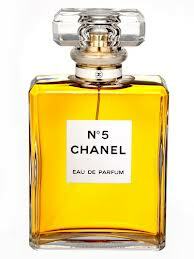 For every person who loves Chanel no 5, there is another who despises it, and countless other human beings who have never heard of it, much less given it a sniff. 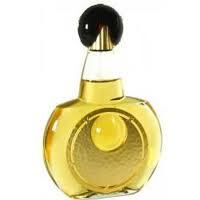 Every successful mainstream perfume has a legion of devotees—that's what it means to be a market success. Are those perfumes better than more obscure, much less aggressively marketed creations offered by small independent houses run by perfumers unrestrained by the yoke of a corporate master? It seems pretty clear that the "best" perfumes named by people concerned to establish their credentials as aesthetic experts about perfume have all cleared the mass-market appeal test. But should that really be a requirement when it comes to ascertaining which perfumes are in fact the best? We know that many great perfumes have been created but discontinued because of business decisions on the part of persons who had "other priorities" or valued other things, for example, money. In some cases, it may be more profitable to sell more bottles of lower-quality perfumes—even muzak versions of former classics—than to adhere strictly to the original recipe and continue to use high-quality ingredients. If there is a greater market potential for profit for the cheaper, lower-grade versions of a perfume sold in drugstores than for a more expensive version sold only in exclusive boutiques, then some of the business people with the power to make that call are going to follow the example of Coty. I think perfume preferences has also an age factor that leads the nose during a life time. I also think that we can be educated to choose what we prefer. And there is the constant bombarding marketing to influence one's nose - not my case, but many are victims. Hello, Simone, and thank you for your observations! Yes, there is no doubt that we change our views about different perfumes over time. We tend to believe that our latest view is better than our former view (that's why we changed! ), but it is difficult to see how we might validate the superiority of our current view. It is true that we can learn a lot about perfume, as in any other realm, and we may feel more sophisticated in our judgments, but the crucial evaluation itself (do I like it?) 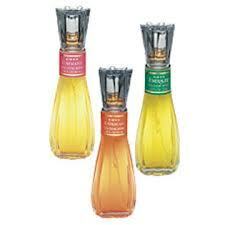 does not seem to depend upon our knowledge of facts about the perfume. Of course there is a constant bombarding that effects the "dumb" people. But oh no, it has NO effect on Q. Q is too smart to be a victim. Advertising has no effect on "smart" people. Why are so many smart people so.....um.....smart? This comment seems unduly hostile to me, however, because its content is relevant, I have published it. You are asking an age-old Socratic question, it seems to me. Or perhaps this is more obviously an example straight out of Plato: the allegory of the Cave, according to which we base our judgments of things on the appearances which are cast by sophists upon the wall of the Cave. What we see are mere shadows, not reality, but we bellow out our opinions as though they conveyed some sort of objective truth. Of course, someone might argue that I am just as affected by the marketing hype, and react to it by simplemindedly denying the value of the product being hyped--by dismissing it out of hand for the hype alone! The challenge becomes recognizing that the hype is hype but developing the capacity to judge the perfume (or whatever) more or less on its own terms, rather than either celebrating it simply because it has been associated with celebrities of one or another kind (and they could be perfumers, too, the way things are going these days! ), or denouncing it on essentially "emperor's new clothes" grounds. It seems to me that Q (above) was trying to say something along these lines. There is a difference between someone who looks at the top ten board at Sephora and says, "Wow, those are the best perfumes, so I'd better buy one of them," and someone whose response is, "This is the swill being bought these days?" Perhaps the best response is simply to take note that the top ten board is just a list of the bestselling perfumes, no more and no less significant than that. I should however admit that I have no objection to people enjoying perfume as a vicarious connection to some otherwise inaccessible person, or because it is popular, or because it makes them feel glamorous or sophisticated--or whatever. Different things make different people happy! A day without an entry #, is like a day without sunshine.